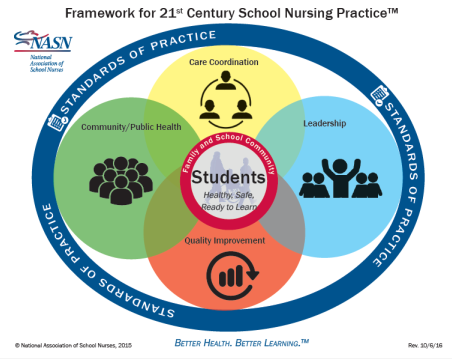 NASN's Framework for 21st Century School Nursing Practice™ creates an overarching structure that includes concepts integral to the complex clinical specialty practice of school nursing. 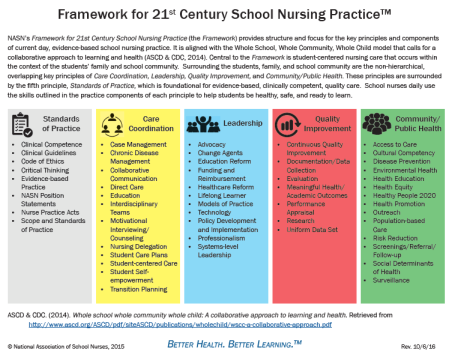 The framework provides a graphic illustration of the key principles of professional school nursing practice, reflecting the organization's stance for evidence-based best practice and providing focus to priority school nursing activities. The framework provides guidance for the practicing school nurse to reach the goal of supporting student health and academic success by contributing to a healthy and safe school environment. NASN believes it has a responsibility to its members and to the public they serve to develop a framework for professional school nursing practice. This template can be used to introduce and explain the Framework. Before duplicating and sharing any of NASN's Framework resources, please review the guidelines below and then complete and return the required form. 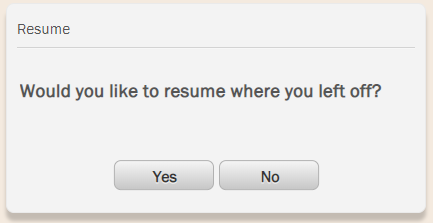 NOTE: This is a "fillable" form. To use it properly, open it, save it to your device (computer), edit it, re-save it, and then email it to NASN. Tell others how you have have or will use the Framework in your practice. This blog post invites you to leave a comment that will lends to the learning about the Framework.